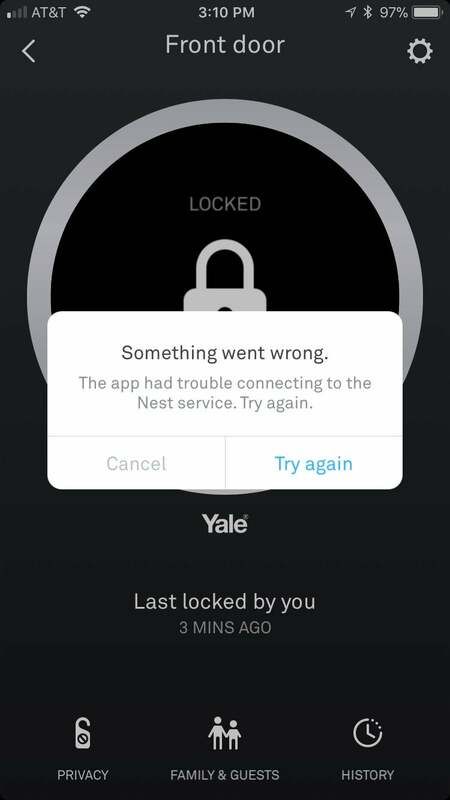 Nest’s partnership with Yale is a rocky combination. 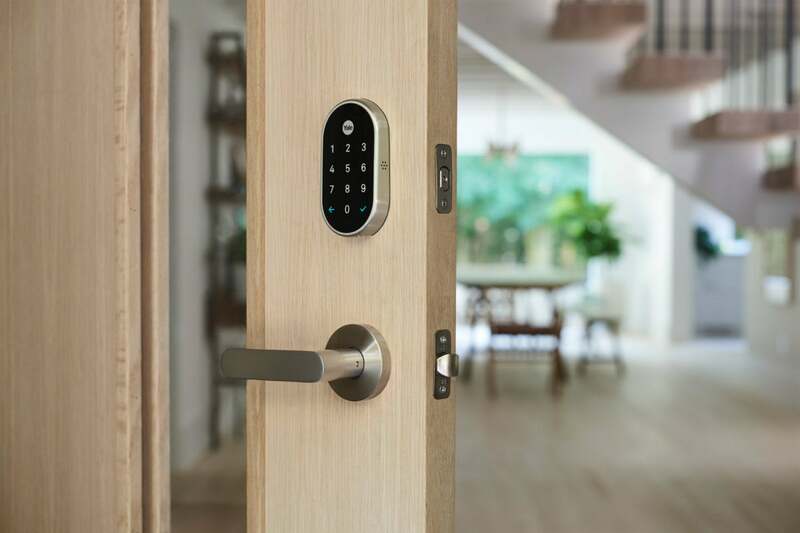 With its Nest x Yale Lock, Nest Labs takes another step toward complete smart home control by moving into the smart lock space. Nest isn’t going it alone this time, however; the Google company has partnered with old-guard manufacturer Yale, founded in 1868. 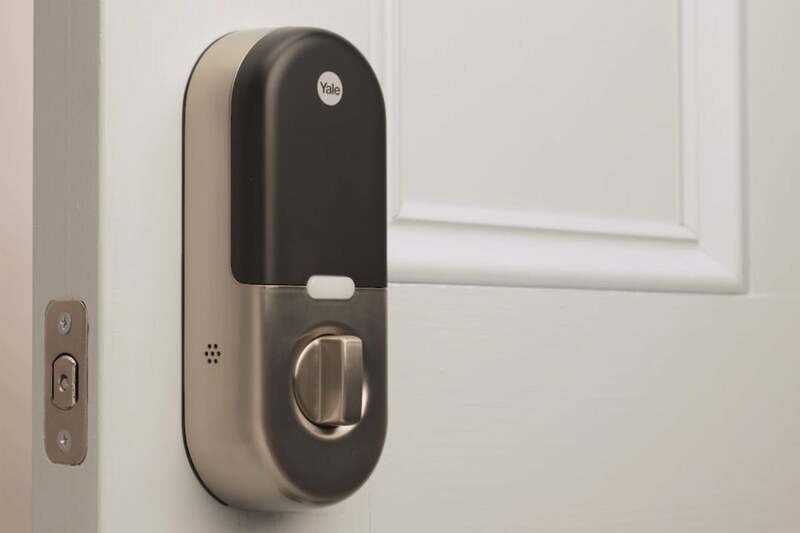 I’ve reviewed three of Yale’s smart locks to date, and none have been among my favorites. Cosmetically, this deadbolt borrows nothing from Nest’s upscale design sensibility. In fact, it pretty much looks like any other Yale smart lock. The exterior escutcheon features a compact but industrial panel bearing nothing but a touchscreen. On the inside of the door, a two-tone design dominates, with the entire escutcheon clad in metal, with a large black panel covering the electronics and battery bank. The lock is available in satin nickel, bright brass, and rubbed bronze finishes. In an interesting move, this panel is not attached by a screw. Rather, it is removed by pushing a large pin (or a straightened paperclip, when you inevitably lose the pin) through a hole in the top, which pops off the panel. I’m not sure whether this method is more or less convenient or secure than a regular screw. The interior side of the Nest x Yale smart lock isn't the prettiest we've seen. Installation is largely in line with other smart locks, though it can be tricky to get the cover of the interior escutcheon properly seated. Once you do get it attached, the lock feels stable and solid, and it’s easy to keep it from listing to one side, a frequent problem found with other locks. The locking mechanism is smooth and reasonably quiet, though there are plenty of chimes and beeps to alert you to various stages in the process. After the batteries are installed, voice prompts—a helpful Yale deployed in its first generation of Yale Real Living smart locks in 2011—guide you through initial setup, including setting a master PIN code. This doesn’t last long, though, as you are quickly shunted over to the Nest app to continue your setup (which overwrites that PIN code anyway). At this point, you’ll need a Nest Connect device, which is a small hub that plugs into wall power near your lock (within 40 feet), creating a bridge between the lock and your Wi-Fi network. Nest sells the lock together with the bridge for $279. 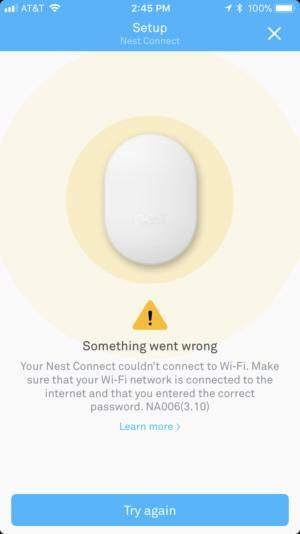 (If you have a Nest Secure system, you won't need the Nest Connect.) To set up the lock with the Nest app, you first scan a QR code on the back of the Nest Connect, configure it to connect to your Wi-Fi network, then scan a QR code inside the lock itself to finish the job. Both these steps gave me a considerable amount of trouble, which was a big surprise, throwing out error after error, refusing to connect to the network. I was about to give up on the Connect but gave it one last try after a short prayer, and at last it finally worked. Nest x Yale appears in the Nest app as a separate device, and management is fairly intuitive. As noted above, the app will walk you through setting a new master PIN, overwriting the one you set on the lock upon initial hardware configuration. My initial experiences with the app were rocky, much like the initial setup. The app would hang, requiring a force quit and restart, or crash alt together during locking or unlocking. …and sometimes in use, too. That’s unfortunate for an app that is supposed to replace your keys; in fact, you even activate “privacy mode,” which disables the keypad altogether, making you completely reliant on the app to open the lock from outside. Early quibbles aside, over time, the app finally settled down and its early stability problems vanished. As with most Nest products, the Nest x Yale lock is designed to be simple in use. Advanced options like an auto-locking system are limited and, for the most part, easy to understand. If you want to give full access to another user, they’ll need an account on Nest and a copy of the app installed on their phone. While that’s probably fine if you’re trying to set up different codes for your family, it might be overkill for an Airbnb user or someone else with temporary access needs. For these folks, you can set up additional numeric PINs within the Nest app; these can be used without a Nest account (or a phone). These PINs can be set to expire at a certain time, or open the door only on certain days or at certain hours; anyone with app-level access has full control over the lock. All told, Nest x Yale covers almost all the expected features of a modern smart lock—there’s even a 9-volt emergency terminal so you can get in if the batteries die—but its lackluster design and setup headaches keep me from recommending it fully at this point. As well, given the hefty price tag, I’d be inclined to wait for version 2. Nest’s first smart lock is a somewhat buggy Yale product with Nest features, not the other way around.